Wake up in Brisbane’s sunny Golden Triangle and start the day with a stack of maple pancakes at the 24-hour Pancake Manor. From there, it’s just one block to the river ferry that whisks you down to lectures at UQ in 30 relaxing minutes. You can do some reading on the way, as the best bookstore in town, Folio, is a three-minute walk from Iglu Brisbane City, while the neighbouring Bike Obsession and Skatebiz shops have amazing options if you fancy getting your own wheels. Head towards Eagle Street Pier for cool bars like The Laneway or catch an outdoor gig at the Botanical Gardens’ Riverstage. 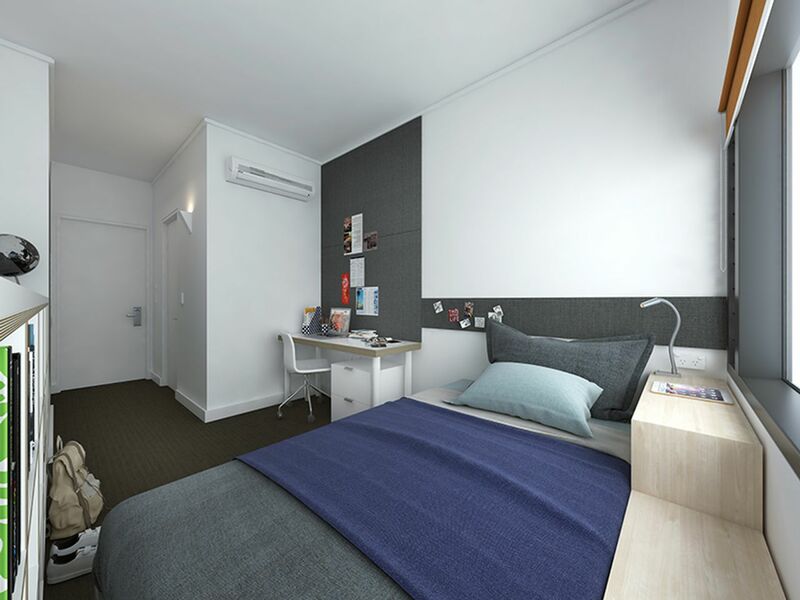 From Iglu Brisbane City, you can enjoy a pretty, 10-minute walk to the Queensland University of Technology. Or to get to the University of Queensland, hop on the ferry at North Quay and you'll arrive in about half an hour. On weekends, start your morning with an invigorating cycle across the Goodwill Bridge and if you have a car, legendary beach Surfer’s Paradise is just an hour’s drive away. After a day at uni, come home to Iglu Brisbane City and use your electronic key card to buzz into the striking glass lobby. Head straight for the outdoor terrace to fire up the grills for a barbecue and catch up with friends. In winter, you can unwind with some pool and a game of Playstation in the comfy games room. 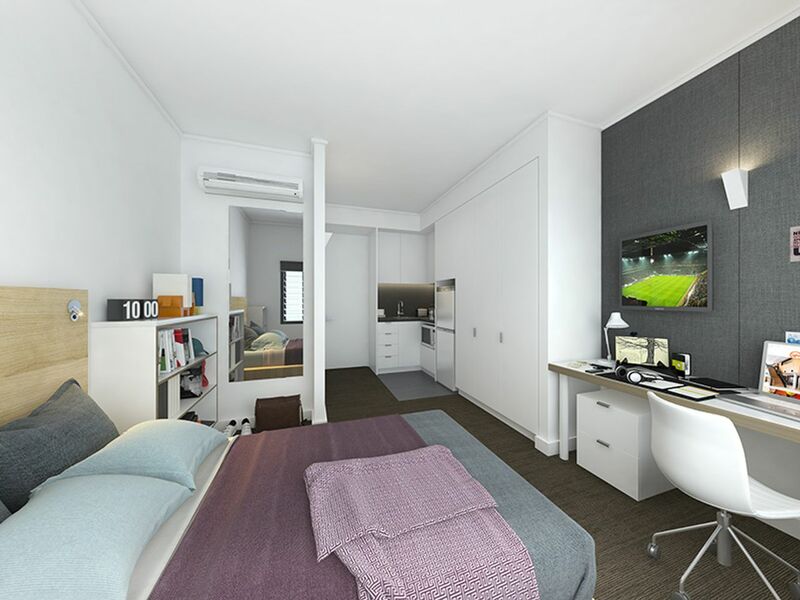 If you also like having some space to yourself, the studio apartments will be the perfect fit, or have a different experience living with up to five housemates in a shared apartment. You can even request an ensuite so there’ll be no queueing for the shower in the mornings. Whichever apartment you choose, you can relax after dinner on the couch with your housemates, watching the flatscreen TV or catching up on the day’s events at uni. With Wi-Fi and air-conditioning throughout, you’ll be able to get your study done in comfort. You’ll be able to do your washing whenever you want at the 24-hour on-site laundry, and it will be easy to keep on top of your budget because all bills are included in the rent. 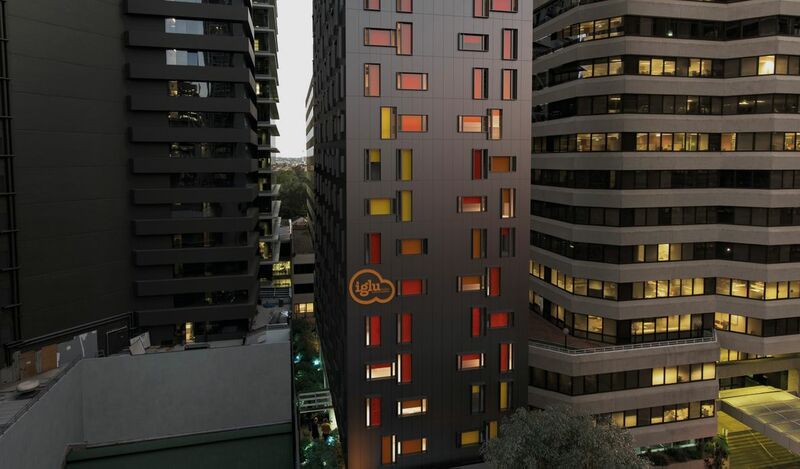 If you stay late at the university library, you can feel completely safe coming home to Iglu Brisbane City, with its round-the-clock security and CCTV. Grab a late-night snack from the vending machine before heading to your cosy room for a good night's sleep. We couldn't find a room that matches your preferencesView all Private Room in Iglu Brisbane City. We couldn't find a room that matches your preferencesView all Entire Place in Iglu Brisbane City.